Felt Loose & Fancy Free & a Giveaway! Lovelies, we have another wonderful giveaway and feature for you today! I was introduced to Mary through a local mom group and was blown away with her Etsy shop! 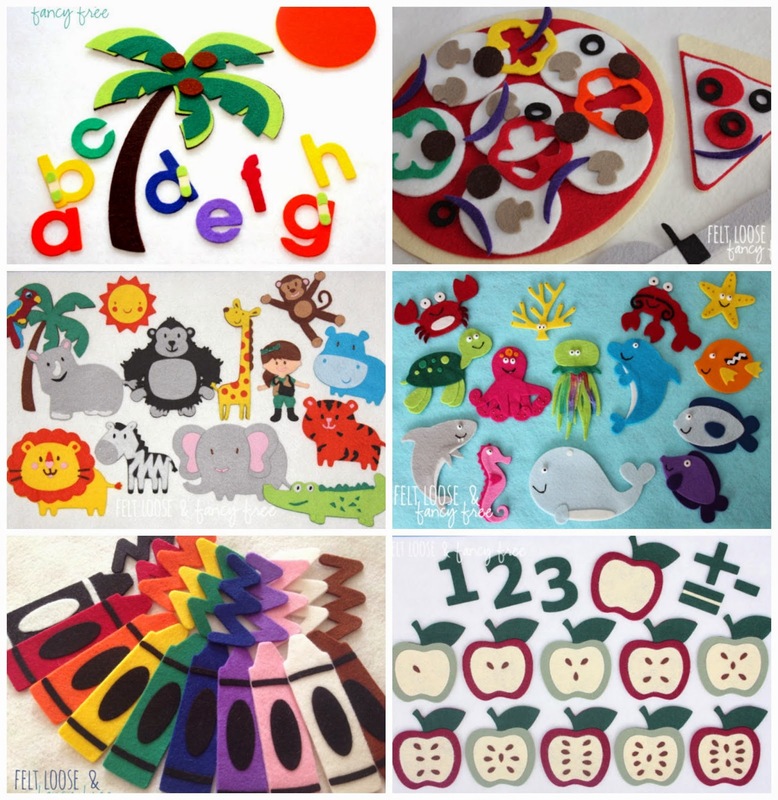 Mary is the owner and creator of Felt Loose and Fancy Free, where she creates gorgeous "felt board story sets that promote literacy, imagination, and learning - all in one playful pouch." As a mother, lover of literacy, and creative entrepreneur, Mary has rolled all her passions into one and hand makes playful story board sets to inspire children to use their imagination and spark their love of learning. Mary's products are perfect and seamless. Each set is so well thought out, from the colors of natural wool felt she uses, to how each size, shape, and image she creates will inspire and educate young kids. Furthermore, all of Felt Loose and Fancy Free's sets come in a hand-dyed pouch so that children can learn how to clean up their sets too! Her whimsical story board sets are created with such precision, and made just thick enough for those grabby toddler hands to not ruin them. Personally, I love how these sets harken back to a time of simplicity, when teaching your toddler colors and numbers didn't involve an iPad and apps to download. Mary's sets are the perfect teaching tool to learn addition, subtraction, vehicles, animals, create stories, and letting your child's imagination roam. Felt Loose and Fancy Free will be at the Long Island Festival in Huntington on October 11-12, with Sewing Seeds and our friends, Mockingbird Parties. You can find them at booth #46, on Prime Avenue, and they will be hosting a huge giveaway! Make sure to stop by and tell them that the Lovely sisters sent you! Lucky for us, Mary is kindly giving away a Let's Color Crayon Matching Set and a felt board, to make your child's stories portable and easy to save. This is the perfect way to teach your toddler colors, counting, and making patterns. 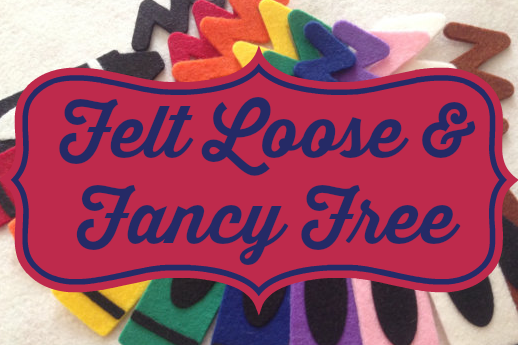 It's so easy to enter, and even if you don't win, head over to Felt Loose and Fancy Free because Mary is offering Lovely readers a 10% discount with the code LOVELYFELT10, entered at checkout. 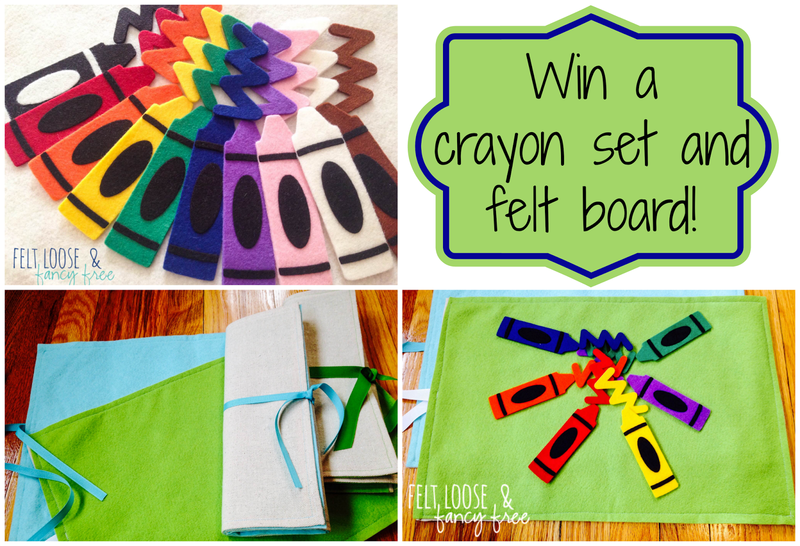 Enter to win the crayon set and a felt board below! Very cute:) I'm always looking for new ways to teach my 2 year old colors. I love the chicka chicka boom boom set as well.